Hello. Welcome to night photography. 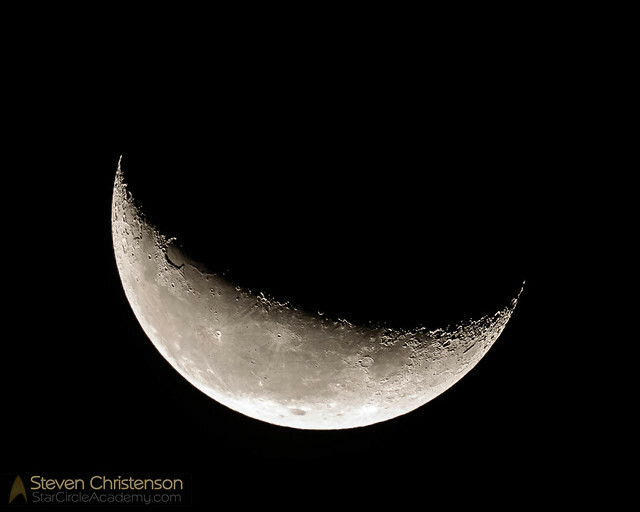 This is the first of 6 lessons on Night Photography based on a weekly in-person course taught by Steven Christenson. Shall we begin? What is a photograph, really? Wait… don’t rush off and start reading something else. This is an important question worth spending more than a few seconds on. Perhaps another way to ask this question is what are the essentials to create a photograph? A photograph is a record of a moment in time. A photograph is a means to evoke emotion or connectedness. A photograph is a record of light over time. All good answers, bonus points awarded to the last answer. The key words are light and time. A better photograph is one that also instills emotion or connectedness, but ultimately a photograph is a record of light. In class we will be covering those goals point by point. For the reader, start with your camera. Set it into Manual mode (not automatic, aperture priority or shutter priority). Not one of those fancy “portrait” or starlight modes either. Manual. usually it’s “M” on your camera. Next be sure you know how to set and use the “self timer” on your camera. Most cameras have one with e.g. 2 or 10 second delays. Finally, turn off auto-focus. The experiments we do in class do not require focus to be accurate or correct. If you do not turn OFF autofocus, your camera may refuse to take a photo. In class we darkened the room as much as possible. We started with an aperture priority shot (f 4.0, ISO 400) and noted that the different cameras all took different exposures – none of which revealed much detail. We then demonstrated how the effect of a quickly or slowly moving light altered the results. Unfortunately there is no simple way to duplicate those tasks for the reader as they are situation dependent. To get a good exposure if you change the (a) _______ you must change the (b) _______ or (c) _______. Exposure Experiment – in a DARK outdoor environment. Set your aperture to f/8. Set your camera to “aperture priority” and take an exposure, make note of the exposure setting (shutter speed). Next change to manual mode. Use the same aperture (f/8), and divide the previous shutter speed by 4. Take an exposure at that setting. Make 7 more exposures doubling the exposure time (1 stop more) each time. Pick the “best” exposure from above and divide the shutter speed by 4. Open the aperture by 2 stops. Take an exposure. Double the exposure time and decrease the aperture by 1 stop. Repeat this process until you reach the minimum aperture for your lens. Look through all the exposures. What are the most noticeable differences? Extra credit: Experiment and see if you can find settings to capture stars in the sky while including some land, too. Creativity Assignment – Use MANUAL mode only. From your experiments, select the best settings for a 10 second exposure. Try capturing something that is lit (and moving). Walk through your shot while it is exposing (may need to use self timer to start it). Repeat the above, but stand still in the shot. Extra credit: Try using a (dim) flashlight… what happens? Want some inspiration: Watch this slide show. This entry was posted in Uncategorized on April 6, 2016 by Steven Christenson. This is an awesome tuturial ! I live on the east coast PA. can I see the milkyway from here ? Thanks, Marianne. 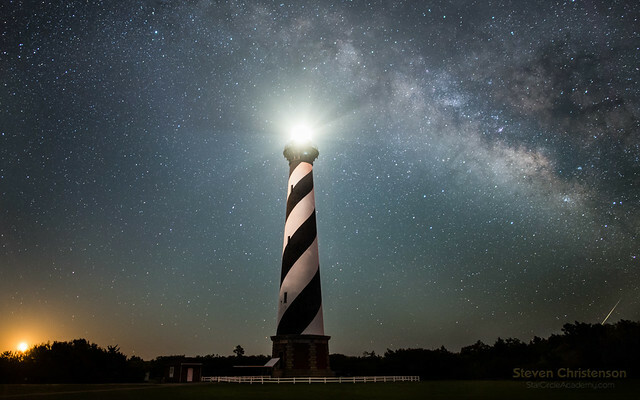 Check out our article here: “The Elusive Milky Way – How to Find It“. I think this tutorial is awesomely creative. I look forward to the next one. Glad to help. Lessons 2 and 3 have also been published. Hope you find those useful, too. You say to divide the shutter speed by 4, which one do you mean? Say the shutter speed is 1/200. Do you mean 1/50 or 1/800? Hey, glad you’re trying the course. Divide by 4. E.g. 2 seconds divided by 4 = 0.5 seconds (or 1/2) so 1/200 divided by four would be 1/800. Notice the next steps say to double each time. The first exposure you calculate should be under exposed compared to the camera reading by 2 stops. Next exposure is under by 1 stop, next as the camera read it, then over exposed by 1 stop… The point here is to see how far your camera is off in metering a dark setting and finding the best setting.